Features and benefits of 5 commonly sold products blended perfectly into one. 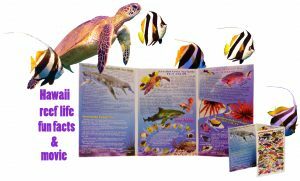 The fold-out wallet packed with great Maui reef fun facts literature holds an all-audience captivating feature. The movie is 40 minutes of colorful above and below water footage soundtracked with famous music. Filmed alongside visitors, it examples the magic enjoyed daily in Hawaii. “YOU CAN DO THIS” is the secret message it sends. 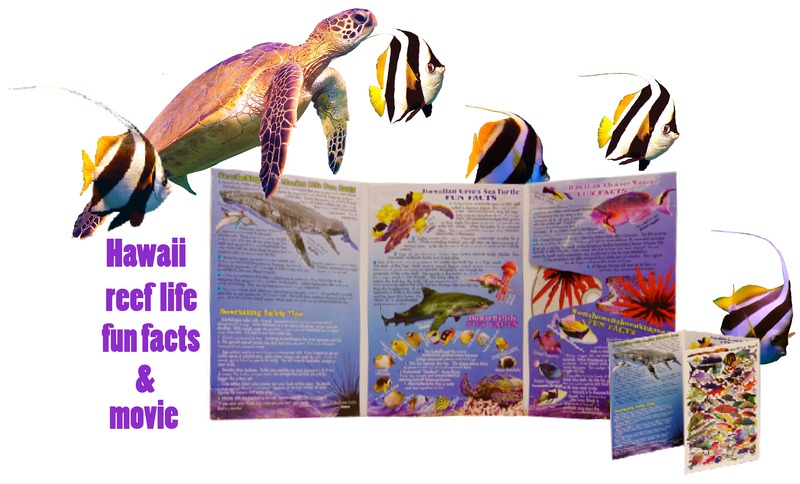 The Magic of Maui’s Snorkeling focuses on the ease and fun of the activity. 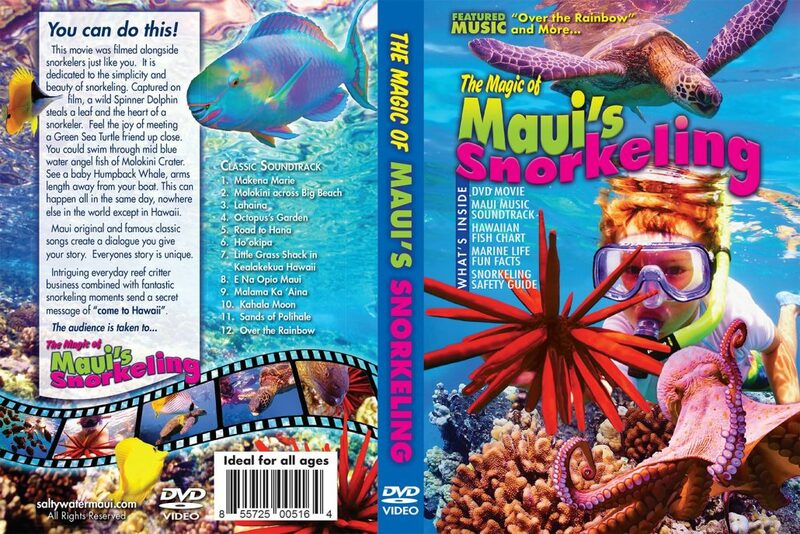 World renown songs and Maui originals give the underwater movie a feel and story unparalleled to others. The songs are its storyline and each song touches a heart differently. The Magic of Maui’s Snorkeling appeals to all walks of life starting at the age of 2. If you are not in Hawaii when you watch the movie and hear the music, you may surely want to be. Available for wholesale and affiliation. Contact for info.